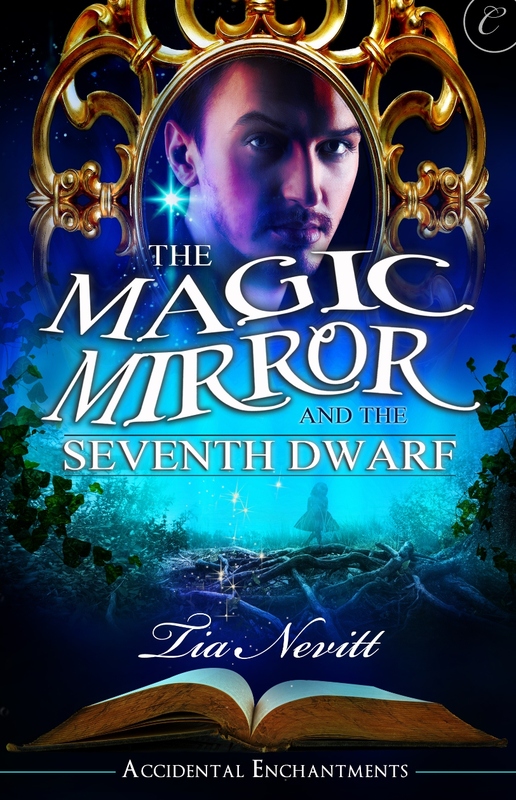 The Magic Mirror and the Seventh Dwarf comes out today! As the title suggests, this story is a retelling of Snow White and the Seven Dwarfs. In my story, the dwarfs live on a farm which has become a sort of refuge for dwarfs, where they can meet and befriend other people like themselves. This changed her thinking. And I actually had to change my thinking in a similar way as well. I realized how awkward it would be to have a Sneezy, Dopey or Sleepy in my story, so I purged myself of those personas (such as they are) and came up with entirely new characters. Here they are. Dieter Klein–Dieter is not a true dwarf–he is simply a very short man. He lives with his wife Marta on his farm. Dieter is used to somewhat unruly farmhands and has a firm but fair hand. Once you cross him, however, there is no forgiveness. He has a thoughtful nature and has filled the house with furnishings that fit his wife’s small frame. Marta Klein–Marta is Dieter’s wife. She has classic dwarfism–achondroplasia–and has only been able to bear her husband one child who survived. That child, Fritz, is sixteen years old and six feet tall. Marta is practical and a good listener, and becomes a mentor for the two young women who fall into her care. Gunther–He is the oldest of the farmhands, in his late 40s, and is the general supervisor. He is quiet and not the strongest of leaders, tending to give people more of a chance than they really deserve. He has never married. Rudolph–He is the next in seniority. He is another short man, but he makes up for it with his impressive physique. A minstrel in the story calls him a Heracles in miniature. He was bullied early in life and unfortunately has turned into a bully, himself. Is he Grumpy? No. Grumpy had a heart of gold. Nuff said. Klaus–He is the smallest of the male dwarfs at the farm. Despite his stature, he is a smith, skilled in making small items such as nails and hooks. He also is a handyman. He is also young and does not have much confidence, and is often the target of Rudolph’s mistreatment. Lars–Lars is the newest of the farmhands. He was the son of a court jester, but when his father died he left that life to pursue an “honest living”. He hears about the dwarf farm from a passing minstrel, and for the first time in his life is doing heavy manual labor. However, he never looks back…unless Gretchen is walking by. The Magic Mirror and the Seventh Dwarf is available at Carina Press, Amazon, Barnes and Noble, Google Play, Omni Lit, iTunes and many more online booksellers. I hope you enjoy it! Congratulations! (Happy Snoopy dance.) I didn’t realize this was the release day -and I have it on pre-order too. Will have to check my nook. Surprise! Hope you enjoy and thanks for all your support!